LocateMyAgent.com is a website featuring the brand THE REAL ESTATE AGENT HEADHUNTER® as described on the website in detail. Services are offered to consumers who are looking to buy or sell residential real estate property anywhere in the United States and need the right Real Estate Agent for their project. The Site is a domain that presents the brand, the offers and has forms where Consumers can submit their requests for various levels of services the Site offers in search of the right professional real estate agent for the Consumer’s real estate purchase or sale project. THE REAL ESTATE AGENT HEADHUNTER® is a brand of service in the real estate industry. 1. That you are of legal age to buy and sell residential real estate in your state. 2. That you represent that you truly are utilizing the services of the Site for the purpose of finding the right candidate(s) for your residential purchase or sale project. That you are not misleading in your purpose when filling out the forms. 3. You represent that you are NOT an actively licensed Real Estate Agent, Broker, or Salesperson. 4. That you will reply to any calls, emails, texts, or other communications from THE REAL ESTATE AGENT HEADHUNTER® brand’s representatives and from our network partners such as Referral Exchange and any others. 5. You represent that you will reply to any and all updates, feedbacks, and status requests related to the project, the Agent, and your home search when asked for by The Agent Headhunter or our affiliates. You agree to let us know if you selected to work with or with which Agent you selected to work with or if you declined to work with any Agents who THE REAL ESTATE AGENT HEADHUNTER® introduced to you. 6. You represent that you do not have a signed contractual agreement committing you to work with a specific licensed Agent / Broker. 7. To fully comply with any requests for review of pertinent documents related to the purchase or sale of your property by The Real Estate Agent Headhunter (including closing paperwork, contracts, etc.) if such a request should be made. 8. You represent that you will provide honest information at all times. 9. You represent that you understand that THE REAL ESTATE AGENT HEADHUNTER® do the best they can to find the top Agent(s) for your residential real estate project. However, THE REAL ESTATE AGENT HEADHUNTER® is not responsible for the actual performance of the Agent in any manner. Therefore, you further represent that you will indefinitely hold harmless THE REAL ESTATE AGENT HEADHUNTER®, this site, and the brokerage from any claims against the work of any Agent or Brokerage that we introduce you to. 10. That you understand that neither THE REAL ESTATE AGENT HEADHUNTER®, nor anyone on this team represents you in any manner to your real estate contract or transaction, does not provide you with real estate advise, does not provide you with legal services, and is not to be mistaken with your Real Estate Agent or Broker. 11. You represent that while waiting for THE REAL ESTATE AGENT HEADHUNTER® to find Agents on your behalf and wait for you to either select, accept, or decline the Agent, that you are not pursuing a parallel search on your own. 12. You understand that the Agents we introduce you to are not our employees, colleagues, associates, partners, etc and have no affiliation with us (with the rare exception if someone is searching in the local area of our base office and one of the Agents from our Brokerage may be selected as an Agent-Candidate for consideration). 13. You agree and understand that if you should ever have a serious complaint to file against an Agent that we introduced you to, who you selected to work with, you will do so with either their Managing Broker or with your state’s designated commission or board that oversees Real Estate Licensing. 14. That you, the Consumer, makes the final decision (not THE REAL ESTATE AGENT HEADHUNTER®) on which Agent, if any you will work with or decline to work with. 15. You are giving THE REAL ESTATE AGENT HEADHUNTER® permission to discuss as little or as much about your project as THE REAL ESTATE AGENT HEADHUNTER® deems necessary to discuss with the Agent-Candidates. Once THE REAL ESTATE AGENT HEADHUNTER® has selected the Agent-Candidate(s) to introduce to you, you are giving THE REAL ESTATE AGENT HEADHUNTER® permission to give the Agent-Candidates, and only the Agent-Candidates your contact information for the introduction. This is the only situation where THE REAL ESTATE AGENT HEADHUNTER® will ever share your information, as sharing it with your prospective future Agent(s) is pertinent to your service matter. 16. You understand that THE REAL ESTATE AGENT HEADHUNTER® has the right to decline any service request(s) which THE REAL ESTATE AGENT HEADHUNTER® feels cannot be filled to the best of the Consumer’s interest, in a timely manner to meet the Consumer’s goal, is unattainable, or if THE REAL ESTATE AGENT HEADHUNTER® feels that our services are not the right match for the Consumer’s needs or goal. Further, THE REAL ESTATE AGENT HEADHUNTER® has the right to not introduce any Agents to a Consumer if research and or interviews in the Consumer’s local area result in Agents that do not meet our minimal standards of service that THE REAL ESTATE AGENT HEADHUNTER®looks for. THE REAL ESTATE AGENT HEADHUNTER® does not guarantee that the introduction will be made or to how many Agents. THE REAL ESTATE AGENT HEADHUNTER® does everything possible to make the very best introductions which THE REAL ESTATE AGENT HEADHUNTER® finds. 17. When using THE REAL ESTATE AGENT HEADHUNTER® services in collaboration with The Referral Exchange Network, Consumers agree to hold THE REAL ESTATE AGENT HEADHUNTER® harmless from any claims made against The Referral Exchange Network. 1. Rebate offers are subject to state law within the state of the transaction. Whenever a rebate offer is challenged by a state law, the state law will prevail. Rebate offers are specifically excluded and are not offered in those states where state laws prohibit such rebates. These include, but are not limited to: ALABAMA, ALASKA, IOWA, KANSAS, LOUISIANA, MISSISSIPPI, MISSOURI, OKLAHOMA, OREGON, TENNESSEE. 2. The rebate may be issued by Fathom Realty FL LCC at the time of closing as funds acquired from others on a closing disclosure or as directed by escrow / closing agent at the time of closing. 3. To qualify for a rebate, the consumer must be introduced by a LocateMyAgent.com representative, comply with tax paperwork when and if mandated by law, and fill out a Rebate Reward Disclosure with Fathom Realty FL LLC within 5 business days of choosing to work with a selected Agent. The Consumer must successfully close the transaction with the same Agent. 4. Rebate offers must be disclosed to all parties of the transaction. Rebates must be disclosed on the Closing Disclosure. Rebate offers are subject to approval from Lender if Consumer is obtaining a mortgage. If lender does not allow such rebate and if lender still does not allow a rebate after closing (full disclosure must be made on the closing statement), Consumer agrees to forfeit this offer with no further liability of either Fathom Realty FL LCC or LocateMyAgent.com. 5. 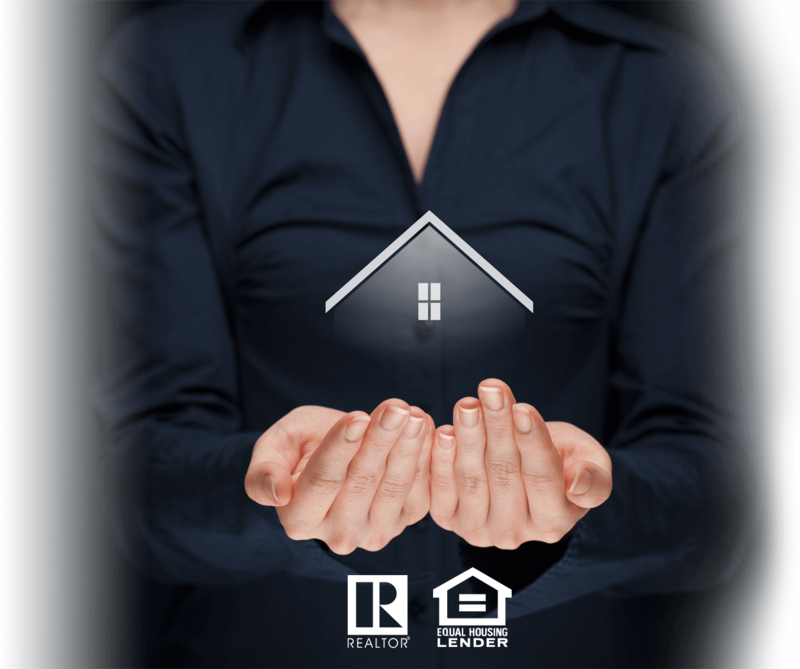 Consumers using services understand and agree to not hold Fathom Realty FL LCC or LocateMyAgent.com liable for rebate offers that are not allowed by state law, lenders, attorneys, title companies or other entities of higher authority to their real estate transaction. 6. The amount of the rebate is based on whether the We-Interview or U-Interview was used. A U-Interview is calculated at 0.2% of the purchase / sale price. A We-Interview is calculated at 0.125% of the purchase / sale price. In both Interview styles, this calculation applies as long as at least the typical 2.5% commission is paid to the brokerage representing the Consumer and LocateMyAgent.com services were used to be introduced to the agent they are closing with. A written agreement between Fathom Realty FL LCC and the Consumer must be in place in advance. 7. Buyers seeking mortgage agree to put their lender on note about the rebate at the initiation of their mortgage application. Visiting LocateMyAgent.com, sending emails to LocateMyAgent.com or to any designated emails assigned to the business dealings related to THE REAL ESTATE AGENT HEADHUNTER® constitutes electronic communications. You consent to receive electronic communications and you agree that all agreements, notices, disclosures and other communications that we provide to you electronically, via email and on the Site, satisfy any legal requirement that such communications be in writing. LocateMyAgent.com does not knowingly collect, either online or offline, personal information from persons under the age of thirteen. If you are under 18, you may not use LocateMyAgent.com. There is no contract and there are no commitments between the Consumer and Real Estate Agent Headhunter®. The Consumer may inform Real Estate Agent Headhunter® of their intent to stop using the agent’s services in writing. However, the Consumer is responsible for abiding by any contracts they decided to sign with the Agent they chose to work with and should seek legal counseling before deciding to enter or end such a contract by the proper attorney in their state. Real Estate Agent Headhunter® is not responsible for absolutely any agreements that Consumers select to sign with their respective real estate Agent and highly advise Consumer’s to seek the consultation of an attorney before signing any such contracts. The Site may contain links to other websites (“Linked Sites”). The Linked Sites are not under the control of LocateMyAgent.com and LocateMyAgent.com is not responsible for the contents of any Linked Site, including without limitation any link contained in a Linked Site, or any changes or updates to a Linked Site. LocateMyAgent.com is providing these links to you only as a convenience, and the inclusion of any link does not imply endorsement by LocateMyAgent.com of the site or any association with its operators. Certain services made available via LocateMyAgent.com are delivered by third party sites and organizations. By using any product, service or functionality originating from the LocateMyAgent.com domain, you hereby acknowledge and consent that LocateMyAgent.com may share such information and data with any third party with whom LocateMyAgent.com has a contractual relationship to provide the requested product, service or functionality on behalf of LocateMyAgent.com users and customers. You may not use the Site in any manner which could damage, disable, overburden, or impair the Site or interfere with any other party’s use and enjoyment of the Site. You may not obtain or attempt to obtain any materials or information through any means not intentionally made available or provided for through the Site. All content included as part of the Service, such as text, graphics, logos, images, as well as the compilation thereof, and any software used on the Site, is the property of LocateMyAgent.com or THE REAL ESTATE AGENT HEADHUNTER® or its suppliers and protected by copyright and other laws that protect intellectual property and proprietary rights. You agree to observe and abide by all copyright and other proprietary notices, legends or other restrictions contained in any such content and will not make any changes thereto. You will not modify, publish, transmit, reverse engineer, participate in the transfer or sale, create derivative works, or in any way exploit any of the content, in whole or in part, found on the Site. LocateMyAgent.com content is not for resale. Your use of the Site does not entitle you to make any unauthorized use of any protected content, and in particular you will not delete or alter any proprietary rights or attribution notices in any content. You will use protected content solely for your personal use, and will make no other use of the content without the express written permission of LocateMyAgent.com and the copyright owner. You agree that you do not acquire any ownership rights in any protected content. We do not grant you any licenses, express or implied, to the intellectual property of LocateMyAgent.com or our licensors except as expressly authorized by these Terms. The Service is controlled, operated and administered by LocateMyAgent.com from our offices within the USA. If you access the Service from a location outside the USA, you are responsible for compliance with all local laws. You agree that you will not use the LocateMyAgent.com Content accessed through LocateMyAgent.com in any country or in any manner prohibited by any applicable laws, restrictions or regulations. You agree to indemnify, defend and hold harmless LocateMyAgent.com, THE REAL ESTATE AGENT HEADHUNTER®, its managing brokerage, its officers, directors, employees, agents and third parties, for any losses, costs, liabilities and expenses (including reasonable attorney’s fees) relating to or arising out of your use of or inability to use the Site or services, any user postings made by you, your violation of any terms of this Agreement or your violation of any rights of a third party, or your violation of any applicable laws, rules or regulations. LocateMyAgent.com reserves the right, at its own cost, to assume the exclusive defense and control of any matter otherwise subject to indemnification by you, in which event you will fully cooperate with LocateMyAgent.com in asserting any available defenses. THE INFORMATION, SOFTWARE, PRODUCTS, AND SERVICES INCLUDED IN OR AVAILABLE THROUGH THE SITE MAY INCLUDE INACCURACIES OR TYPOGRAPHICAL ERRORS. CHANGES ARE PERIODICALLY ADDED TO THE INFORMATION HEREIN. LOCATEMYAGENT.COM AND/OR ITS SUPPLIERS MAY MAKE IMPROVEMENTS AND/OR CHANGES IN THE SITE AT ANY TIME. LOCATEMYAGENT.COM AND/OR ITS SUPPLIERS MAKE NO REPRESENTATIONS ABOUT THE SUITABILITY, RELIABILITY, AVAILABILITY, TIMELINESS, AND ACCURACY OF THE INFORMATION, SOFTWARE, PRODUCTS, SERVICES AND RELATED GRAPHICS CONTAINED ON THE SITE FOR ANY PURPOSE. TO THE MAXIMUM EXTENT PERMITTED BY APPLICABLE LAW, ALL SUCH INFORMATION, SOFTWARE, PRODUCTS, SERVICES AND RELATED GRAPHICS ARE PROVIDED “AS IS” WITHOUT WARRANTY OR CONDITION OF ANY KIND. LOCATEMYAGENT.COM AND/OR ITS SUPPLIERS HEREBY DISCLAIM ALL WARRANTIES AND CONDITIONS WITH REGARD TO THIS INFORMATION, SOFTWARE, PRODUCTS, SERVICES AND RELATED GRAPHICS, INCLUDING ALL IMPLIED WARRANTIES OR CONDITIONS OF MERCHANTABILITY, FITNESS FOR A PARTICULAR PURPOSE, TITLE AND NON-INFRINGEMENT. LocateMyAgent.com reserves the right, in its sole discretion, to terminate your access to the Site and the related services or any portion thereof at any time, without notice. To the maximum extent permitted by law, this agreement is governed by the laws of the State of Florida and you hereby consent to the exclusive jurisdiction and venue of courts in Florida in all disputes arising out of or relating to the use of the Site. Use of the Site is unauthorized in any jurisdiction that does not give effect to all provisions of these Terms, including, without limitation, this section. You agree that no joint venture, partnership, employment, or agency relationship exists between you and LocateMyAgent.com as a result of this agreement or use of the Site. The LocateMyAgent.com performance of this agreement is subject to existing laws and legal process, and nothing contained in this agreement is in derogation of LocateMyAgent.com’s right to comply with governmental, court and law enforcement requests or requirements relating to your use of the Site or information provided to or gathered by LocateMyAgent.com with respect to such use. If any part of this agreement is determined to be invalid or unenforceable pursuant to applicable law including, but not limited to, the warranty disclaimers and liability limitations set forth above, then the invalid or unenforceable provision will be deemed superseded by a valid, enforceable provision that most closely matches the intent of the original provision and the remainder of the agreement shall continue in effect. Unless otherwise specified herein, this agreement constitutes the entire agreement between the user and LocateMyAgent.com with respect to the Site and it supersedes all prior or contemporaneous communications and proposals, whether electronic, oral or written, between the user and LocateMyAgent.com with respect to the Site. A printed version of this agreement and of any notice given in electronic form shall be admissible in judicial or administrative proceedings based upon or relating to this agreement to the same extent and subject to the same conditions as other business documents and records originally generated and maintained in printed form. It is the express wish to the parties that this agreement and all related documents be written in English. LocateMyAgent.com reserves the right, in its sole discretion, to change the Terms under which LocateMyAgent.com is offered. The most current version of the Terms will supersede all previous versions. LocateMyAgent.com encourages you to periodically review the Terms to stay informed of our updates. LocateMyAgent.com welcomes your questions or comments regarding the Terms via the Contact Us page.